A local celebration grown from the historical traditions from bygone Downtown Plover Days, Golden Sands Festival and Freedom Fest. 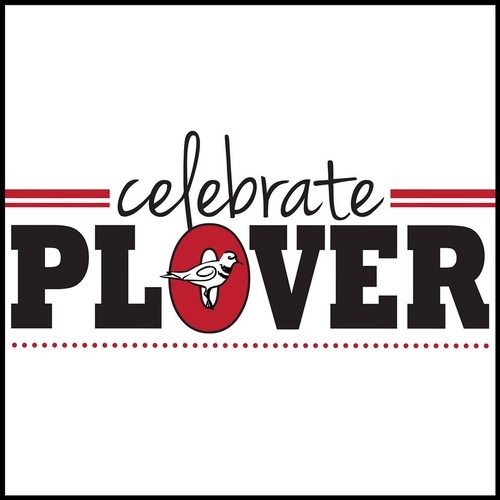 This one-day festival is now in its 8th consecutive year as Celebrate Plover; bringing together local businesses, individuals and families to celebrate the quality of life established here in Plover, WI, truly a gem within central Wisconsin! Thousands of people attend with the day's activities including children activities, Taste of Plover food and beverages, craft vendor Marketplace, volleyball tournament, Fire Department water fights, Outdoor Business Expo, Veteran's Tribute program and the area's premier fireworks display at dusk. Kids' activities this year include: face painting, clown entertainment, inflatables, jousting ring, velcro wall, rocket bouncer, tiger bouncer, butterbean boxing, screamer slide, boulder dash, boot camp obstacle course and zero gravity bungee attraction. Lake Pacawa Park's 35-acres serves as a great host site for the gigantic audience of around 15,000 people who attend the annual Celebrate Plover. A new band shell christened in 2018 is now the foundation around scheduled live entertainment throughout the afternoon and evening. (WI's favorite party band with eclectic mix of rock songs ranging from classic to contemporary as they exhibit the perfect mix of repertoire, talent and charisma to rock your socks off!). The day concludes with central Wisconsin's premier and fan-favorite fireworks show with water display while choreographed to music! Activities at Lake Pacawa Park, Plover from 9 a.m. until midnight on Saturday, July 27; located just west of I-39, on Maple Drive, one block south of County "B" / Plover Road. The beauty of this local event is that it boasts FREE ADMISSION and FREE PARKING! Alll kids' activities are also ALL FREE! Food and beverages at Taste of Plover stands are reasonably priced as Celebrate Plover delivers on its "FAMILY - FRIENDLY EVENT" commitment! Businesses wishing to take part in the Outdoor Business Expo can do so at a cost of $50.00 for 12' X 12' lawn space ($52.50 payable with credit card; $50 check made out to Celebrate Plover Foundation) with non-profit groups charged $30, ($32 payable with credit card; $30 check made out to Celebrate Plover Foundation). Tell your business story between the hours of 10 a.m. and 4 p.m. and become an active part of Celebrate Plover! Spaces are limited and PABA coordinates this part of the annual event with only PAID REGISTRATIONS holding space; so click REGISTER NOW and proceed to Pricing Details to make profit / non-profit registration choice.